The interactive digital cancer atlas shows national patterns in cancer incidence and survival rates based on where people live for 20 of the most common cancers in Australia - such as lung, breast and bowel cancer – likely reflecting the characteristics, lifestyles and access to health services in the area. 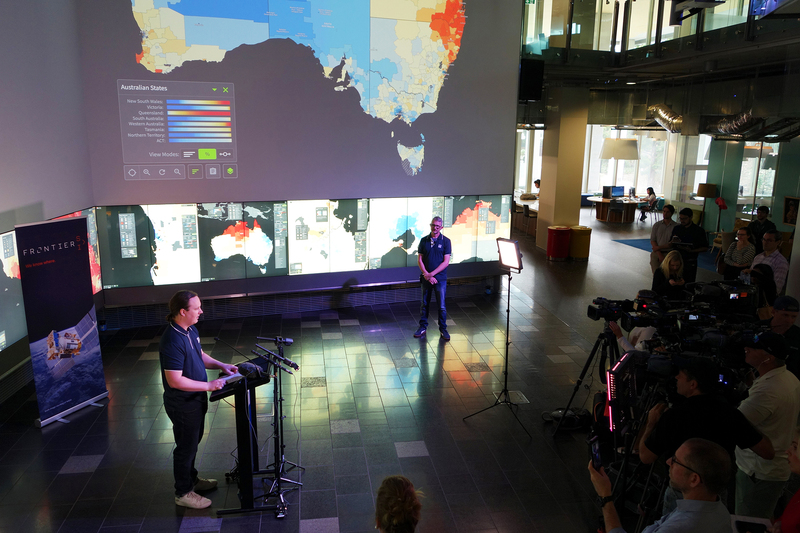 Thom Saunders from the QUT Visualisation and eResearch team demonstrating the Australian Cancer Atlas. The online atlas is powered by myGlobe, a state-of-the-art digital system that has been developed and enhanced specifically for the atlas by the QUT Visualisation and eResearch team in the Institute for Future Environments. 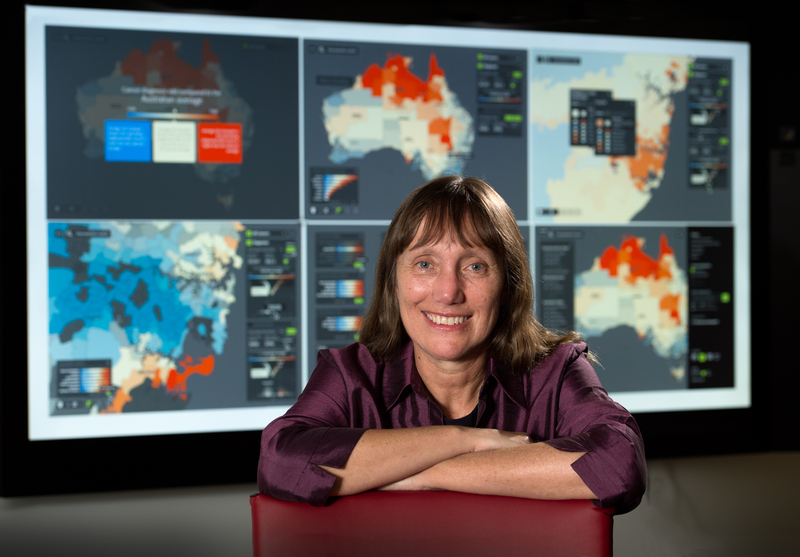 QUT Distinguished Professor Kerrie Mengersen with the Australian Cancer Atlas. QUT associate investigator on the project, Dr Earl Duncan, at the Australian Cancer Atlas launch at The Cube at QUT. The Australian Cancer Atlas is a collaborative project developed by statisticians, cancer researchers, visualisation experts and IT specialists from Cancer Council Queensland, QUT and representatives from the Australian Institute of Health and Welfare, with additional input from government, community members, consumers and the media. The atlas has been endorsed by the Australasian Association of Cancer Registries and Cancer Council Australia, and investigators access expertise from the Australian Research Council (ARC) Centre of Excellence for Mathematical and Statistical Frontiers (ACEMS).